MH-60L Black Hawk: Special operations modification, used by the U.S. Army's 160th Special Operations Aviation Regiment ("Night Stalkers"), based on the UH-60L with T700-701C engines. It was developed as an interim version in the late 1980s pending fielding of the MH-60K. Equipped with many of the systems used on MH-60K, including FLIR, color weather map, auxiliary fuel system, and laser rangefinder/designator. A total of 37 MH-60Ls were built and some 10 had received an in-flight refueling probe by 2003. MH-60L DAP: The Direct Action Penetrator (DAP) is a special operations modification of the baseline MH-60L, operated by the U.S. Army's 160th Special Operations Aviation Regiment. The DAP is configured as a gunship, with no troop-carrying capacity. The DAP is equipped with ESSS or ETS stub wings, each capable of carrying configurations of the M230 Chain Gun 30 mm automatic cannon, 19-shot Hydra 70 rocket pod, AGM-114 Hellfire missiles, AIM-92 Stinger air-to-air missiles, GAU-19 gun pods, and M134 minigunpods, M134D miniguns are used as door guns. The first thing one notices about this kit is that it comes in a huge box. 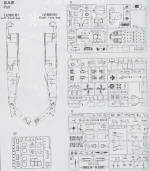 In line with the H-6 kits, it is also 1/35 scale to fit in well with armor modelers. 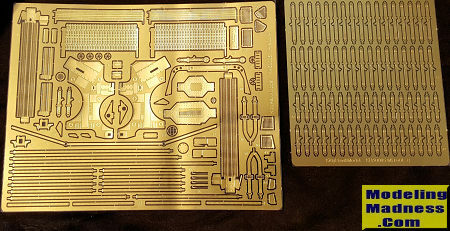 I'm pretty much an aircraft modeler and find that it matters not if the kit is 1/35 or 1/32 when it comes to subjects of this size. Also included in the kit are two sets of resin figures, enough to properly crew the aircraft. Reading over the instructions, I noticed that they seemed to be written for all possible variations of the H-60 from the standard UH-60 to this particular boxing of the MH-60L. In addition, you can build the DAP variant with what is provided, all of the instructions on how to do so being included. 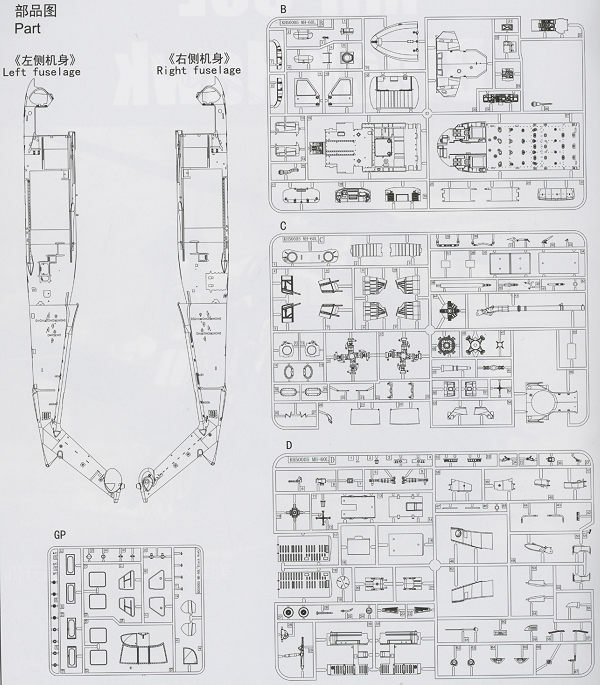 However, there is no indication in the instructions anywhere as to what construction steps apply to what version, so you pretty much have to know your H-60s before beginning construction. If you simply start at page one, you'll basically put a lot of work into building up the seats only to discover in the next pages the build sequences for the other versions. Having said that, in addition to the standard troop transport, you can build the version that is full blown gunship with no room in the cabin for much else than ammo containers and possible a seat or two for the gunners. 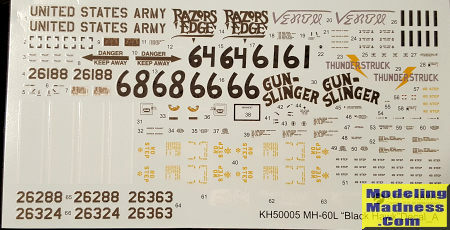 There is also an intermediate variant with some guns and some seats, which appears to be the version shown on the box art and in the painting and markings profiles. To say that the kit is detailed would be an understatement. For instance each passenger seat is five pieces of plastic and four p.e. belts. Probably why the instructions have you start there. The cockpit is very nicely appointed with all the control columns and pedals. Various panels use both p.e. and decals for instrument detailing. The cockpit and cabin make up into a module that will eventually be installed between the two fuselage halves. Atop the aircraft is the section that has the engines and the rotor assemblies. You get two complete engines so you can display the covers open if you so wish. You are provided with the fairly large exhaust IR suppressors as well. The rotor head is also very finely detailed and will look properly complex when you are done. Once all the upper fuselage bits are completed, that is set aside while the rest of the airframe is built up. In this case it includes the doors, some of the guns, more antennas than you'd think would be fitted to a helo and the landing gear. The kit also comes with the shorter external weapons assembly that has a single pylon on the end. A variety of weapons are provided for this pylon including Hellfires, rocket pods and chain guns. None of the included markings options seem to have this external weapons assembly, but it is there if you wish to install it. Once the fuselage has been properly completed, then the upper section can be attached. 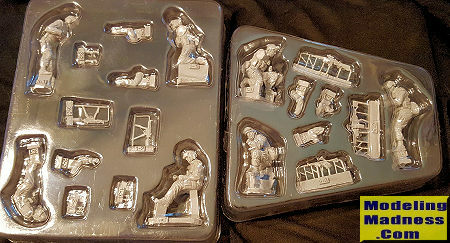 You are provided with seven resin figures which includes air crew, door gunners and kneeling troops with personal weapons. A separate set of assembly instructions is included for these. The kit has a lot of photo etch with one full fret dedicated to seat belts. Markings are for four aircraft, with have various names inscribed on the engine cowlings. They appear to be aircraft in use in Somalia, though no specific unit or date information is provided for any of them. This kit also continues the need to remove the painting and markings pages from the center of the instructions to get a complete look at your particular option. Decals are very nicely printed and if like other Kitty Hawk decals are incredibly thin so care will be needed in their application. In terms of detail and in being up to date, this one beats the Academy kit. Of course all that detail comes with a price, that being increased complexity in the build. 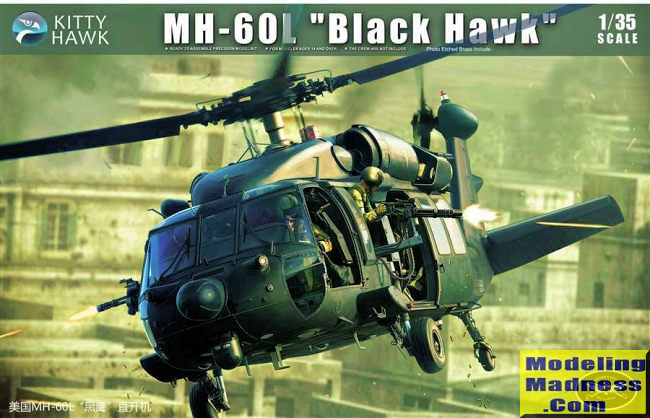 However, this seems to be the way most modelers want it and I have to say that those wanting a modern Blackhawk need look no farther than this kit. Thanks to Kitty Hawk and Alan Griffith for the preview kit.